I have quite a beautiful surprise for you lovelies today. Anna is the talented designer behind these fantastic art prints from Lona de Anna shop. I wanted to share her work with you today, and she kindly offered to give an IHOD reader a graphic print (and A3) of choice! I am the lucky owner of the second print which now resides in my guest room:) The first print is her brand new Ikat Neon Print which is by far my favorite! 1). 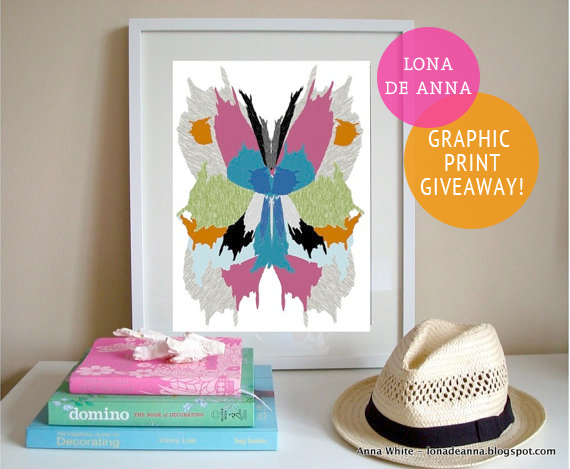 Visit Lona de Anna shop and let us know which print you would choose if you win! 2). Pin one of her prints to pinterest and let us know you did! Giveaway is open to international readers, and will run till Monday night! Best of luck! Such gorgeous creations! I like the Ikat Oz Print A3 print! They would be perfect on my gallery wall! Some beautiful creations she has on her store! My favorite is the ikat oz, gorgeous! Anna's artwork is really something! I saw that first print and my response, a very dramatic ohhh wooow, so I would definitely choose the new Ikat Neon print. Just beautiful! I love the Primavera Watercolour Print A3. They're all so beautiful though! I love the Ikat Oz Print and Ikat Sea shell! These are great. This is beautiful! I'm a follower. I LOVE IKAT USA print...what a cool image! Definitely loving the Ikat Oz Print. What cool work she does! beautiful prints. i love the IKAT NEON US Butterfly Print A3. Loving the Ikat USA Print. It would fit in my room so well! Hi Anna(s) what a fun giveaway!! My walls can definitely use some of embellishment with one of her awesome prints! Hmmm what about Ikat Oz? ps: Following both of you! Oh this are so beautiful!! I really love the Ikat OZ print, but the Ikat US is a close runner up. They are all so lovely. Thanks for introducing us to her artwork. Wow this art is absolutely beautiful! Love the okay OZ PRINT!!! I love the Ikat neon butterfly! So pretty. I follow your blog! Pinned the IKAT neon butterfly! i love the colors in the ikat neon butterfly print! WOW these are beautiful, I am going to have to say the Oz A3 is my favorite! I just love these prints - so beautiful! My favorite is the Ikat Oz Print A3! i really like the IKAT USA Print A3! Ooooh! I LOVE the Ikat Neon Print! I love art. I am an IHOD follower of course! I love the Verao watercolor print! Lovely. so pretty! i love the neon butterfly. I'm smitten over the Ikat Oz Print A3. My lovely Sister-in-Law lived in Australia for 1 year and loved it. This would be a fabulous gift for her! I have empty frames that need to be filled and these are perfect. I love Ikat Oz Print A3. I also repinned some onto my pinterest. I couldnt just pick one! How lovely! I would pick the Ikat Oz Print A3. I'm a follower via Google Reader! I follow your blog via RSS. I like the Ikat USA, Ikat Sea Shell, and the Sunset Cubes prints. Oh Anna. (Both Anna's) such a great giveaway! I do love that butterfly print. I know just where I would put it too! I'm a follower! I am a follower of IHOD. I would choose the Orange Crush Watercolour Print. The IKAT USA print A3 is my very favorite! IKAT NEON US Butterfly Print A3! SO beautiful. It would look great in my living room! im not above bribery to win one of these prints. totally with you- the new ikat is killer... it satisfies my longing for a mounted butterfly AND a cool, bright painting in one swoop. I think it depends what mood I'm in - I love so many of the watercolours!! Especially the Primavera and Orange Crush. Love the Primavera Watercolour! Gorgeous! They are lovely! I really like the Berry Tart Watercolor Print! I love the butterfly! I'd put it in our baby's nursery!! 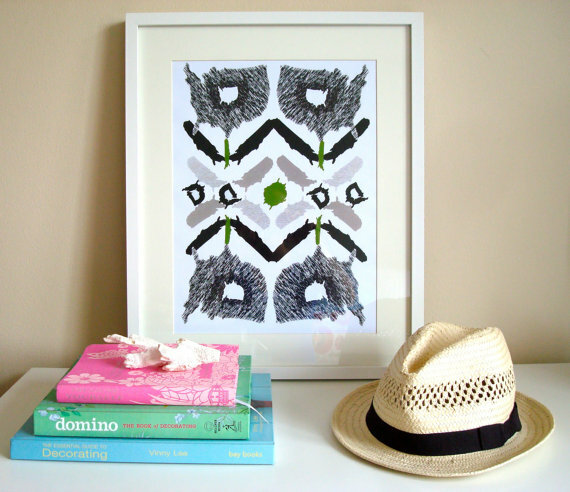 I adore Anna and her lovely art and I'd be thrilled to hang the Ikat Oz print in my humble home. I love Anna's creations! So beautiful! Real artist! Would be nice to have one. :-) My favorite is the first one IKAT NEON PRINT. That art is TOTALLY my style! Love it! I think I would chose Autumn in Sydney - but they are all so beautiful! Wow, I have an ikat obsession... These prints are awesome! I am a follower of IHOD, and I love the Ikat Oz Print A3. love the ikat usa print a3! These are so cool. I really like the look! Hope I win-as per usual! I am a follower of IHOD. Love Ikat USA Print A3 and Primavera Watercolor Pring A3. I love the IKAT NEON US Butterfly Print! It would look perfect in my twin girls' room! And I'm a follower of IHOD. 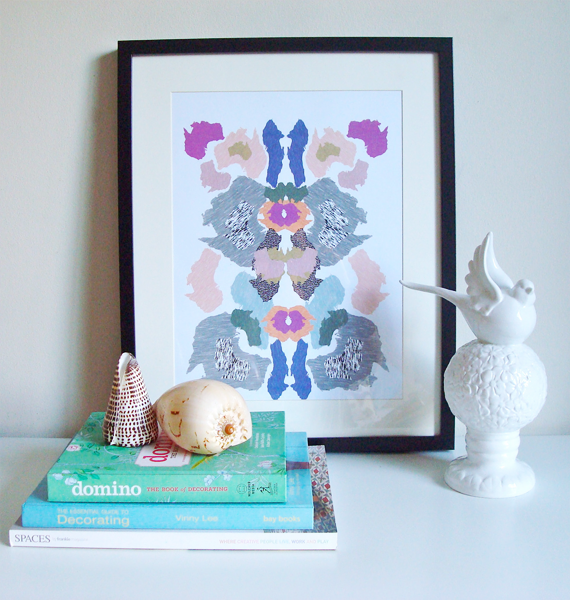 I love the Primavera Watercolour Print. Spring is bright and beautiful in this print! I love the Primavera Watercolour Print!! LOVE LOVE LOVE her prints!! I would go with the Oz Print A3! love the Ikat Oz A3!! The butterfly print is fantastic! Love her work! I think I have a very special place for the Ikat Neon Butterfly print A3 -- such great color! OH -- and I pinned. Thanks for the giveaway! I love the neon butterfly, oz and sea shell! Oh wow, hope I just sneak into this giveaway!! Love the ikat seashell print - all of her prints are gorgeous.